With diet, determination, and discipline you can learn how to reverse diabetes if you have the type 2 form. A recent study showed that planned intermittent fasting may help to reverse type 2 diabetes. Learning how to reverse diabetes is not difficult, and it can be done. Doctors will insist to you that once you have type 2 diabetes it cannot be cured—which is why it is so important not to allow yourself to become prediabetic—but most will acknowledge that diabetes can be sent into remission. Remission is believed to occur when all the symptoms have resolved. So, if you want to know how to reverse diabetes, you need to learn how to bring diabetes into remission. Gestational diabetes: Usually a temporary state that occurs during pregnancy. There is no cure or remission for type 1 diabetes because there’s no insulin being produced at all. But type 2 diabetes can be managed, if not stopped, and the better your artillery, the more likely you are to see how to reverse diabetes. When you have diabetes, you have too much glucose (sugar) in your blood. Glucose is not a good thing, except for energy. With today’s diets of fast foods and sugary sweets ad our propensity for not exercising enough, all the glucose we consume does not get used up by our body, and too much glucose begins to damage the body. The CDC says obesity is a leading cause of type 2 diabetes—the seventh leading cause of death in the United States—as well as a poor diet low and a lack of exercise. The poor diet is one that is too high in glucose (sugars, carbohydrates) and the lack of exercise means that you’re not using up enough glucose and it builds up. More than 100 million Americans are diabetic, almost 10 percent of the population. In addition, an increasing number of children are being diagnosed with type 2 diabetes. If you’ve been diagnosed with prediabetes, which means you show signs of developing diabetes because your blood sugar is above normal, heed this warning. Knowing how to reverse diabetes starts with not allowing it to begin the first place. Prediabetes means the stage is being set for full-blown diabetes. 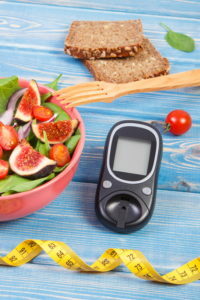 Whether you’re prediabetic, your doctor’s recommendations will likely be to lose weight (if you can lose 5 to 10 percent of your body weight, you will lower your risk of developing diabetes by 58 percent, advises Johns Hopkins Medicine), increase your exercise (a minimum of 30 minutes at least five days a week, says Healthline.com), and adjust to a healthier diet (the American Diabetes Association suggests lean meat, fruits and vegetables, no foods with added sugar, no foods with trans fats, and limit simple carbs as a start). These same recommendations hold for those trying to learn how to reverse diabetes. The fact of the matter is that the only way to send diabetes into remission is to consume no excess calories or sugars and to increase your daily activity to use up what sugar (energy) you have consumed each day. “Since type 2 diabetes is merely excessive glucose in the body, burning it off will reverse the disease,” says nephrologist and founder of the founder of Intensive Dietary Management Program, Dr. Jason Fung. Diagnosis is made by your healthcare provider using blood tests that measure glucose. A study published in the December 2017 edition of The Lancet showed type 2 diabetes can be reversed following an intensive weight-management program. The subjects of the trial were adults who had been diabetic for up to six years. For many diabetics, the number of drugs a physician prescribes for diabetes can be overwhelming. Drugs are usually prescribed that either eliminate glucose from the body and/or increase the amount of insulin produced by the body (the pancreas is responsible for producing insulin), so the insulin can remove the glucose. Eventually, when the body stops producing any insulin, the patient will be forced to have injections of insulin in the hope of holding off any of the damaging effects of diabetes. However, these drugs are only addressing the symptoms, they are not providing a solution for how to reverse diabetes. Bariatric surgery, which is the surgery that helps a person lose weight by reducing the size/capacity of the stomach, will lower a person’s blood sugar. However, the surgery does nothing to change the person’s lifestyle and eating habits. If that person goes back to eating excessive amounts of food and not exercising, diabetes will return. In the study “Therapeutic use of intermittent fasting for people with type 2 diabetes as an alternative to insulin,” which was published in the journal BMJ Case Reports in 2018, author-physicians Suleiman Furmli, Rami Elmasry, Megan Ramos, and Jason Fung found that planned intermittent fasting may help to reverse type 2 diabetes. The doctors found that three patients in their care were able to do this and cut the need for insulin treatment. Three men, ages 40 to 67, tried out planned intermittent fasting to see if it might ease their symptoms. They were taking various drugs to control their disease as well as daily units of insulin. In addition to type 2 diabetes, they all had high blood pressure and high cholesterol. Two of the men fasted on alternate days for a full 24 hours, while the third fasted for three days a week. On fast days, they were allowed to drink very low calorie drinks, such as tea/coffee, water or broth, and to eat one very low calorie meal in the evening. Before embarking on their fasting regime, they all attended a six-hour long nutritional training seminar, which included information on how diabetes develops and its impact on the body; insulin resistance; healthy eating; and how to manage diabetes through diet, including therapeutic fasting. They stuck to this pattern for around 10 months after which fasting blood glucose, average blood glucose (A1c), weight, and waist circumference were re-measured. All three men were able to stop injecting themselves with insulin within a month of starting their fasting schedule. In one case, this took only five days. Two of the men were able to stop taking all their other diabetic drugs, while the third discontinued three out of the four drugs he was taking. They all lost weight (by 10 to 18 percent) as well as reducing their fasting and average blood glucose readings, which may help lower the risk of future complications, say the authors. Clearly, the key to how to reverse diabetes is through strict diet and exercise. 2 diabetes, atherosclerosis, blood pressure, blood sugar, calories, children, cholesterol, coffee, diabetes, diabetes control, diabetes treatment, diabetes type, diabetic, diabetics, diet, dry skin, eating habits, erectile, erectile dysfunction, exercise, feeling tired, food, gestational diabetes, glucose, health, health problems, healthy eating, heart attacks, high blood pressure, high blood pressure and, high cholesterol, how to avoid diabetes, insulin, insulin resistance, intermittent fasting, Lose Weight, obesity, Pancreas, poor circulation, prediabetes, skin, sugar, tired, type 1 diabetes, type 2 diabetes, unexplained weight loss, vegetables, weight management, what is diabetes.